Fresh daily, authentic Mexican food. 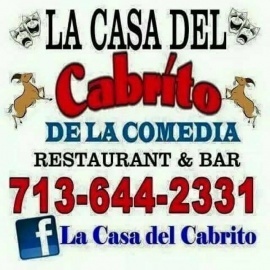 LA CASA DE LA COMEDIA Tel: 713-6442331 Restaurant-Bar Club Comedia Houston,Tx. VIERNES-SABADO- Y LUNES de 5 p.m. a 3 a.m. Show time 10 p.m.
Come visit One Hot Pot & Grill to try ours delicious Vietnamese food. One Hot Pot & Grill team welcome. The Grove restaurant is located in the heart of downtown Houston in the 12 acre Discovery Green Park.